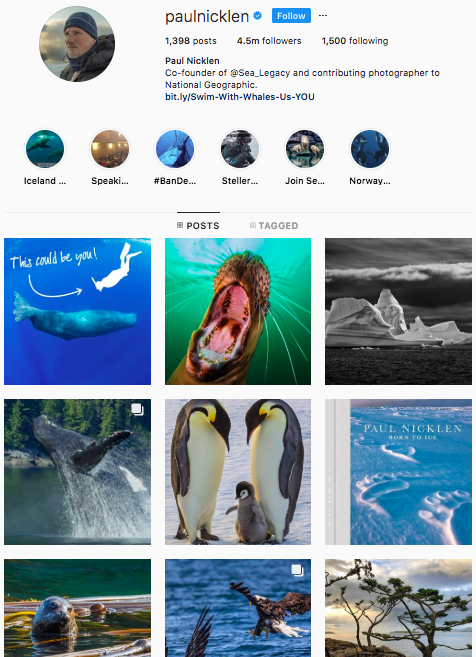 Paul Nicklen is more than just photographer for National Geographic. He is an environmental activist and the co-founder of Sea Legacy, an organization on a mission to preserve our oceans and its inhabitants. 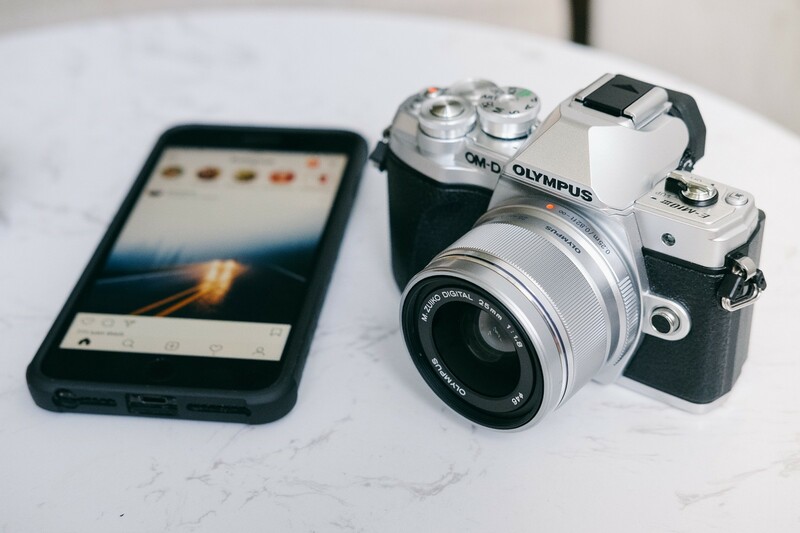 His Instagram page is full of photos that will leave you thinking, “how did he even capture that?” and captions that will help you learn more about the world we live in. From polar bears to whales to narwals — Nicklen has photographed it all. Kathryn Kellogg, a self-defined “climate optimist”, is National Geographic’s spokesperson for plastic-free living. She’s also the author of ‘101 Ways to Go Zero Waste’. 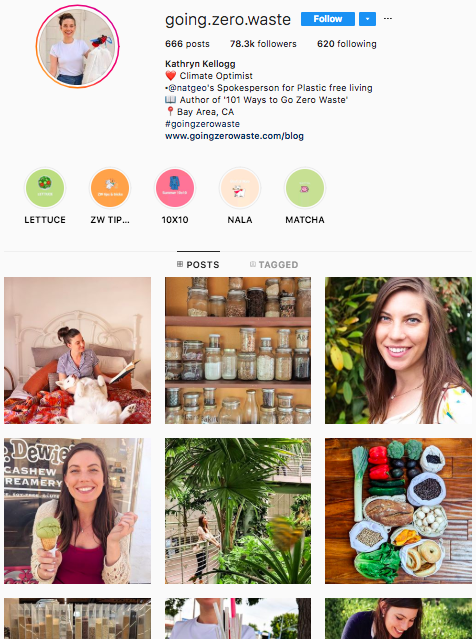 But if you don’t have time to read her book, you can check out her Instagram page — full of tips and tricks on going zero waste. If you get inspired by her page, go check out Refill Revolution. It’s a company right here in Boulder that sells bulk refills so that you can start going zero waste! Jessica V Walsh, a designer for brands, created Lets Talk About Mental Health in addition to 12 Kinds of Kindness. 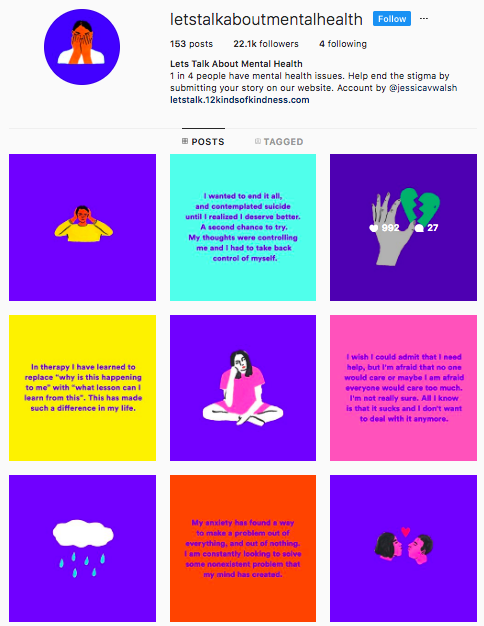 1 in 4 people have mental issues* and this Instagram account is on a mission to end the stigma against it. The page is full of illustrations, stories, and quotes that aim to raise awareness about the topic. Humans of New York tells the stories of individuals living in New York. 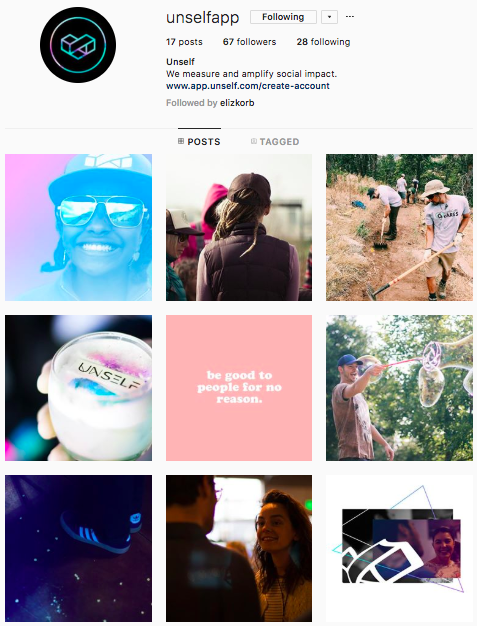 From business people to homeless, this account will allow you to get a glimpse into peoples’ lives. Currently, they are sharing stories from Egypt. The impact of telling these stories? Empathy. Trust me on this one — you’ll laugh, cry, and feel a sense of connection to these people who you’ve never met (and probably never will). 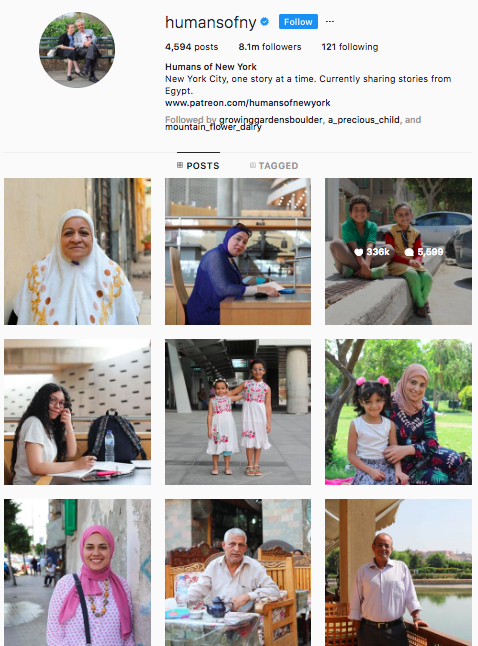 One Instagram post at a time, Humans of New York makes you realize that everyone has their own unique story that is worth hearing. Okay, maybe this is my own fangirl coming out, but everyone could use a good-hearted celebrity to look up to. 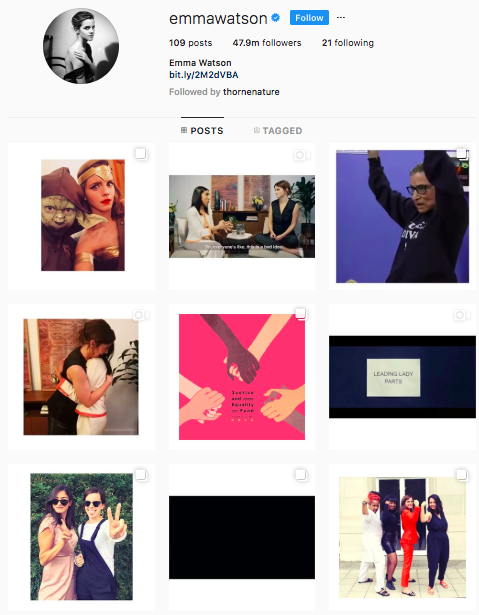 Emma Watson’s is a huge advocate for woman’s rights, among other issues, and her Instagram shows it. Follow her and she’ll share awesome books, ways to get involved with issues, and a little bit of her life with you. 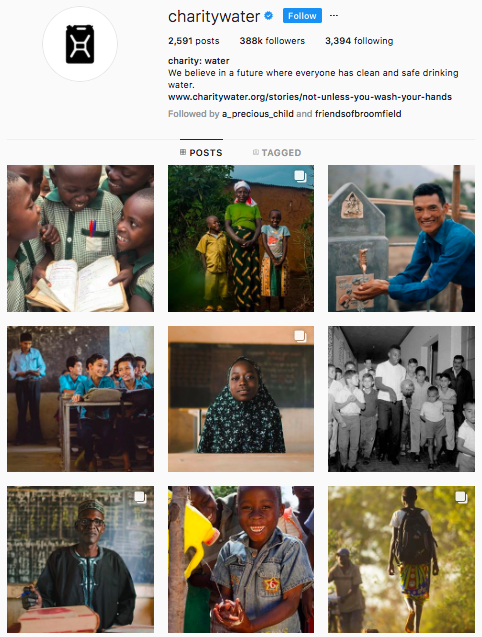 We’re on Instagram too! Check us out to see what we’ve been up to with people like you in our community.